The view from the reporter's home. HONOLULU — On Saturday morning, I was basking in my usual routine, waking up with my yawning dog, walking upstairs to receive a macchiato made by my husband. My heart started racing. Was this real? I jumped off the couch and ran downstairs to find my husband. He was in the bathroom. I screamed at him through the wall: "Did you get the message?!" "Give me one minute," he responded, much too calmly. He clearly had not received the message. Maybe it wasn't real? I just wanted him to come out and say as much. He needed another minute. A missile was going to hit us and my husband would be on the toilet. Great. I ran back upstairs and screamed to my mom, whom we also live with. "Did you get the message?" "What message?" she yelled back. "Is this real?" we asked each other. I didn't know what to do, so I took a screenshot of the message and decided to tweet it. I tried to think of what to write with my tweet. "OMG," I typed, but then immediately tried to think of something better to write. What if I die and my last tweet is just "OMG"? I really couldn't think of anything better to say. It was all I could feel. I hit send. 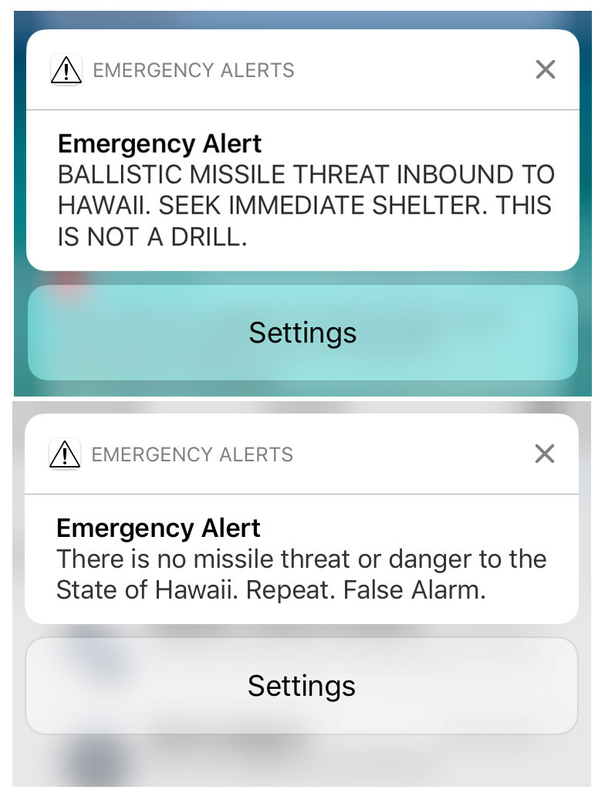 A compilation of people's phone screens receiving the alert. My husband came rushing upstairs. He had now received the message, but for some reason his phone was a few minutes behind ours. "We're supposed to shelter in place," I said. "So let's stay here and close all the windows." We live in my childhood home, which suddenly didn't really feel safe. As a reporter, I have been covering the state warning system amid the recent rising tensions with North Korea, and I knew it was best to shelter in a concrete building. Our home is 99 years old and made out of wood. Still, we live at the top of Mount Tantalus, which is above Honolulu, so it felt remote and seemed like we had a better chance of being far away from any likely target zone — Pearl Harbor, perhaps? Another military base? As I looked through a big window in the living room, I could see most of Honolulu below. On the edge of the city is the lush Diamond Head, an extinct volcanic crater. Beneath that lie rows and rows of homes that seem to melt together. The suburban boxes feel like they would just fall into the sea, if not for the skyscrapers that dot Waikiki and downtown Honolulu and form a wall that stops the houses from flowing straight into the ocean. It was the view I had looked at my whole life. But for a split second, I saw it all gone — just gray dust and rubble, like a photo I might have seen of a bombed-out city in World War II. I saw the people I loved gone, as well as the city that had given me everything, opening its arms to me when I was born at Kapiolani Hospital and shaping me into the person I am now. I shook the image away and instead took a mental screenshot of what was still there. It was the view I had looked at my whole life. But for a split second, I saw it all gone — just gray dust and rubble. Then I closed the shutters in the kitchen, and in a bathroom, where one of the old window coverings felt stuck. I couldn't really get it to close and almost gave up, but I also felt strangely scared. I didn't want this to be where the nuclear fallout seeped into our home. I pushed harder until it shut all the way. I closed the door, too, as I left the room. I scurried downstairs and into my brother Jesse's childhood bedroom. He is on the mainland and I couldn't help myself from envisioning what it would be like for him to have his immediate family die while he was away. I didn't envy him, but I did feel an immense wave of sadness wash over me. 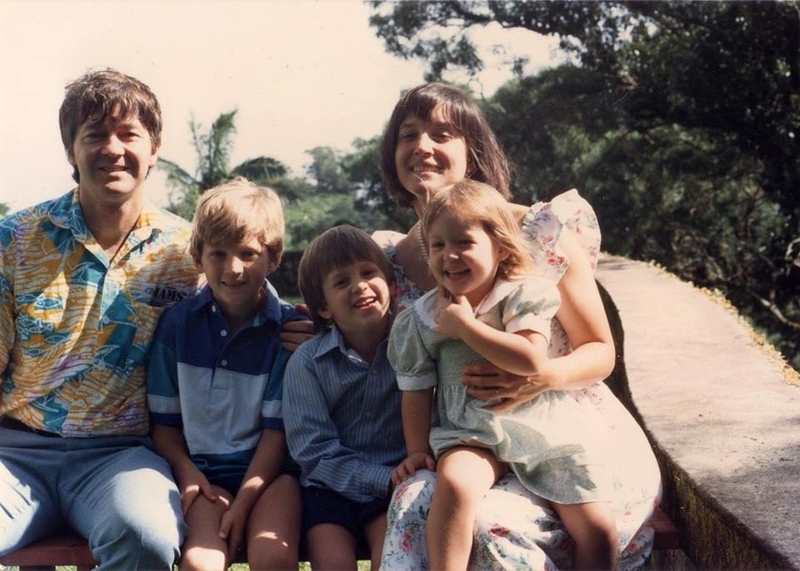 The reporter and her family growing up at their Hawaii home. This was also the room that my dad had turned into his office after my brother went away to college. 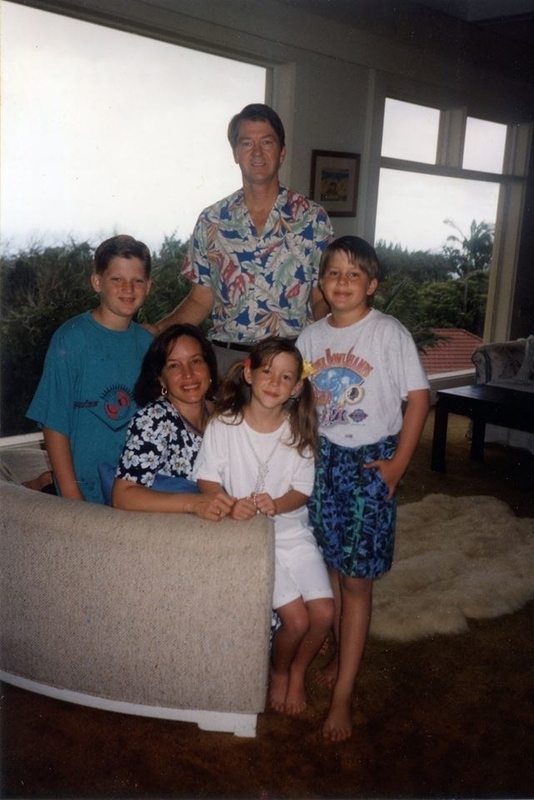 When my dad died suddenly from a heart attack, no one in my family had known what to do with it. He had left all his paperwork in piles and it was hard to know what each pile meant. On Thanksgiving Day in 2011, I had gone hiking with my dad and less than a week later he died in a hotel room while traveling for work. Even after all this time, it is still hard for me to understand how anyone can be there one day and gone the next. Was this happening to all of us now? I walked into another bathroom at the end of the hall and remembered one of the shutters in the shower had fallen off — the nuclear fallout would find its way in no matter what. The motion of closing the shutters felt a little ridiculous anyway. I closed the door to the bathroom and headed back upstairs. I saw my husband at the sink, holding a five-gallon jug that he was filling with water. Emergency Management Agency officials had warned people to gather supplies to last for up to two weeks in case people needed to "shelter in place" to avoid nuclear fallout. "Shelter in place" is the new "duck and cover" — it's the mantra EMA officials have been telling Hawaii residents in press conferences and television commercials in preparation for cases like this. Of course, we hadn't really prepared any emergency supplies. We had lots of food in the house, and we live in a remote area, so we do have a generator. But I wondered why we didn't have any more empty water jugs to fill. I felt my heartbeat accelerating. We walked back upstairs and I asked my husband if he thought we were going to die. The question hung in the thick air, with no trade winds to blow it away. I asked my husband if he thought we were going to die. The question hung in the thick air, with no trade winds to blow it away. My husband, mom, and I gathered in front of the television in the kitchen. 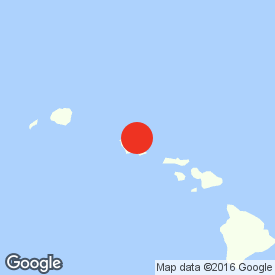 Eric had been informed of the alert, my mom said, and was sheltering in place in Kapahulu. My mom flipped through channels until we found one with the alert blaring across the screen. 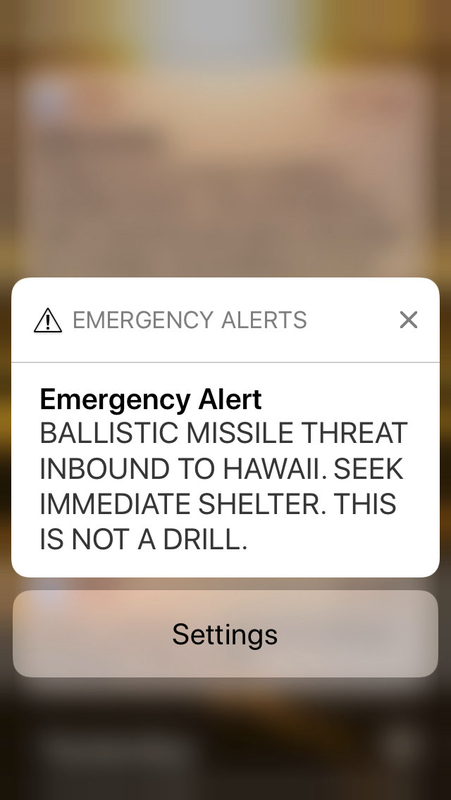 I wanted to know more, but seeing the alert on television only made it feel more real. I received a text message from a friend visiting from California asking, "Is this alert real?" I wasn't sure how to respond. "Seems like it," I said. Suddenly, I realized only two of the three ways the state was going to alert us to an attack had gone off. "Had anyone heard sirens?" I asked. We don't live near the city, but the wind was still and I had been able to hear the sirens faintly when they were tested on the first Friday of the month. "Will they stop it?" he asked about the missile. "Do we close windows?" I didn't have an answer to the first question, but I told him to close windows and to go inside a concrete building if possible. I started reaching out to people, trying to find out more. My mom was on the phone speaking to loved ones. 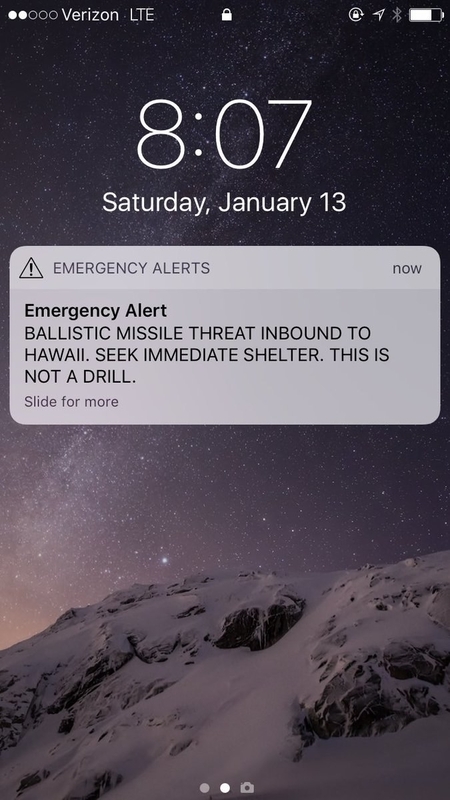 Then I saw a tweet had been sent from Rep. Tulsi Gabbard, confirming it was a false alarm. Relief washed over all three of us and my mom screamed. We were going to be OK. Of course, how could we not be? I thought. But relief quickly turned to disappointment and anger at this major, terrifying mistake. How could this happen? I started to see more messages on Twitter confirming the news, but it still took roughly 20 minutes before I received an alert on my phone officially stating it was a false alarm. Only then did I feel my shoulders drop. I knew at last that it was going to be OK. I looked up from my phone and back out the big window in the living room, where I could see my city — still there, just like it had always been.